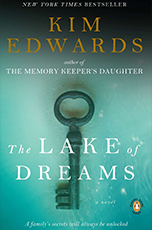 The Witches 1st edition cover art. Last Tuesday, September 13, would have been author Roald Dahl’s 95th birthday. 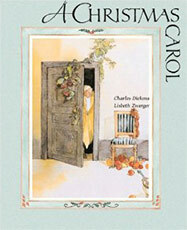 To honor the icon of children’s literature, Flavorwire posted an article listing ten of the writer’s best villains. Some nasty all-stars made the cut, such as the repulsive aunt Spiker and aunt Sponge, who torment the orphan James in James and the Giant Peach. 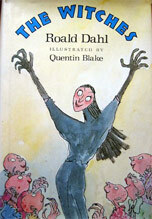 Miss Agatha Trunchbull, the sadistic headmistress in Matilda, also topped the list. Some lesser known, but equally cruel, baddies rounded out the top ten, including the disgustingly hairy couple from The Twits and the Grand High Witch from The Witches, all of whom absolutely detest small children. 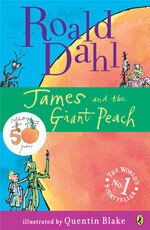 Who is your favorite villain in the Roald Dahl catalog? 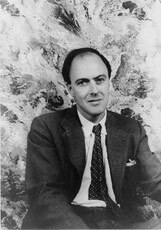 Portrait of Roald Dahl, 1954. By Carl Van Vechten.